A series where we explore how normal individuals turned their darkest fantasies into a reality. One man’s Robert Berdella is another’s Kansas City Butcher. We may not always see what truly hides within the minds and hearts of certain people, and where we believe is a good, pure individual, lays a terrible murderer capable of the most horrible acts. Robert Berdella was one such man, a helpful and friendly individual who — is a spree separated by a few years — managed to capture and horrifically tortured seven young men, murdering six along the way. Control and dominance were his tools, the pain was his method. 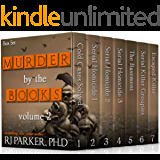 The Kansas City Butcher had no mercy, and his victims soon learned that he had no limits in terms of defiling or humiliating their bodies, minds, and spirits once they were bound and gagged. 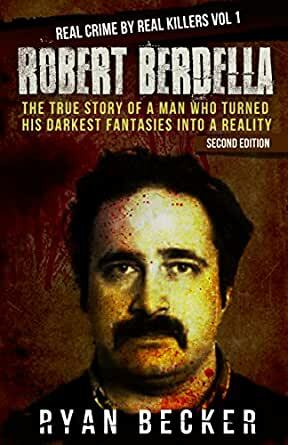 Robert Berdella: The True Story of a Man Who Turned His Darkest Fantasies Into a Reality is a book that recounts the tale of the Kansas City Butcher, a man capable of committing the most truly degrading acts on his victims, a monster who will never be forgotten by the families of those young men whose lives he destroyed. Be warned, reader, you aren’t just about to read about Bob Berdella and his acts. You are about to walk into his very mind. And so in this very short (53 pages) book Ryan distills the mind and crimes of the real life Robert Berdella. Book states that he committed his crimes & was tried in Ohio. Not true! He committed his crimes, and was tried in Kansas City, Mo. Bordello was born in Ohio. Also there are a lot of typos. Not a very good writer, but I did read the whole series to see if all his books are the same quality. They are. view of the society we live in today. How one human being can inflict such pain and suffering on another is something I don’t think we will ever be able to figure out. I recently read my first book by Ryan Becker and I must say I enjoyed his work. If you like true crime stories try this one. 5.0 out of 5 starsThis is a must read, definitely! This was a definite read-all-the-way-through-without-stopping book. Yes, it's somewhat graphic, but not terribly sickness inducing graphic, which (to me) says a lot about Mr. Becker's writing. That he can put these atrocities into a book so clearly and concisely, without making his readers "gross out" is a great testament to his writing.